MOSCOW, July 19. /TASS/. Russia has completed the pop-up tests of the most advanced Sarmat intercontinental ballistic missile (ICBM), the Defense Ministry announced on Thursday. "The program of the system’s pop-up tests has been completed with the positive results, which makes it possible to switch to preparations for the flight trials of the Sarmat missile complex," the Defense Ministry said. "All the measures that have been carried out allow for making a clear conclusion that the Sarmat missile system will be created and placed on combat duty within the scheduled timeframe," the ministry said. Chairman of the Military and Scientific Committee of Russia’s Strategic Missile Force Colonel Artyom Vyatkin earlier said that more than 50 assignments had been fulfilled as part of the Sarmat pop-up tests, making it possible to confirm the proper design solutions for the missile, the systems and assemblies of its launch vehicle and confirm their reliability, and also to test the technology of preparing the missile for the launch and the modes of its pre-launch preparations and the launch cyclogram. 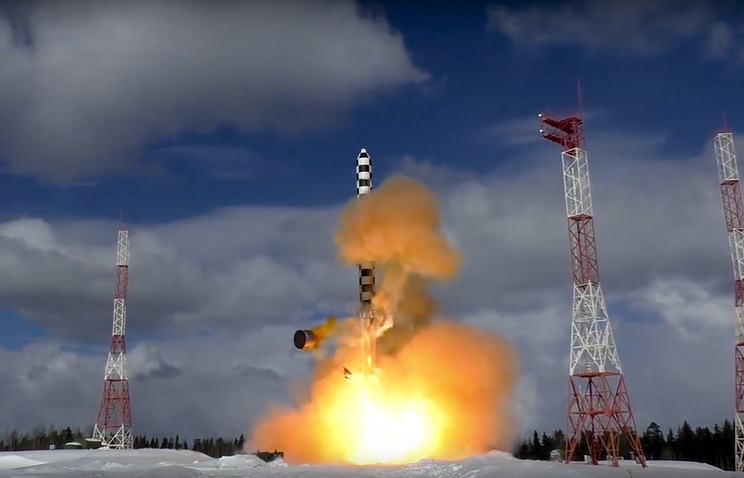 In order to provide for the flight tests of the Sarmat ICBM, Russian industrial enterprises have modernized and retooled their production capacities, created the necessary inventories and are making the preparations for the manufacture of a pilot batch of missiles, he said. The development of new strategic weapon systems is aimed at increasing Russia’s defense capability and preventing any aggression against Russia and its allies, Russia’s Defense Ministry stressed. The RS-28 Sarmat is the Russian promising silo-based missile complex with the heavy liquid-propellant ICBM capable of carrying nuclear charges. Russia has been developing the Sarmat since the 2000s to replace the R-36M2 Voyevoda ICBM operational in the country’s Strategic Missile Force since 1988. It weighs about 200 tonnes and has a throw weight of about 10 tonnes. 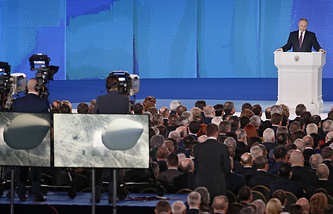 In late December 2017, the media reported about the first successful pop-up test of the Sarmat ICBM. New pop-up tests were announced in late March. As the Defense Ministry’s newspaper Krasnaya Zvezda reported, the tests confirmed the system’s characteristics during the pre-launch preparations and at the initial stage of the missile’s flight. Also, Russia’s Strategic Missile Force got convinced in the proper design and technical solutions made in the missile’s development. The serial production of the Sarmat ICBM is expected to begin from 2020 and in 2021 the first regiment armed with this missile is expected to assume combat duty.